Indian Khana, Made Easy: Varli Food Festival - Oh What A Night!! 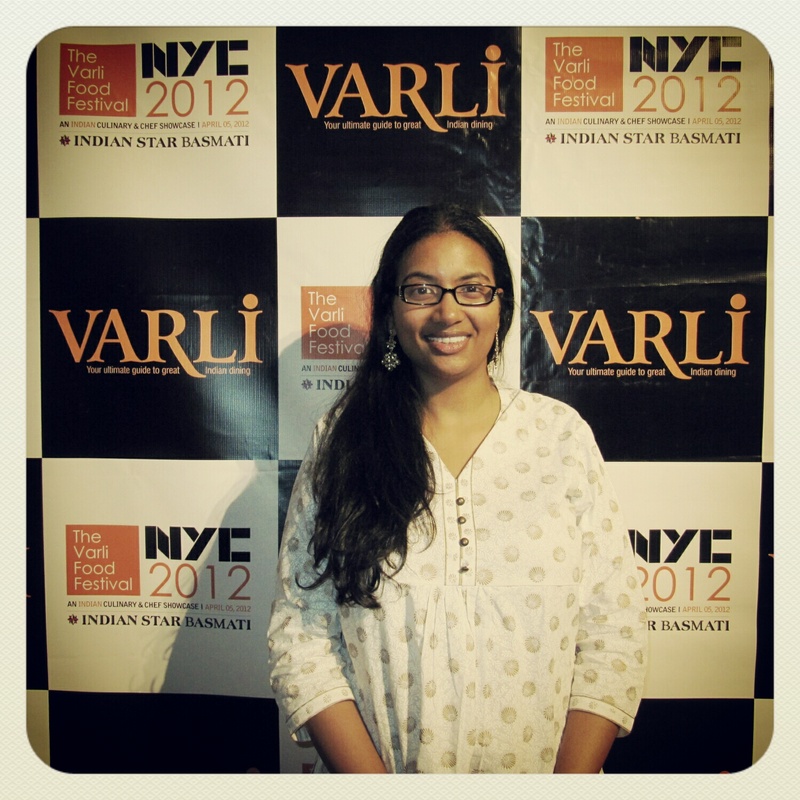 Varli Food Festival - Oh What A Night!! I have a passion for cooking, especially when it comes to Indian cuisine. Whenever my mom starts cooking, I stroll on over and help her. I also watch cooking shows, read blogs, and attend foodie events whenever possible. 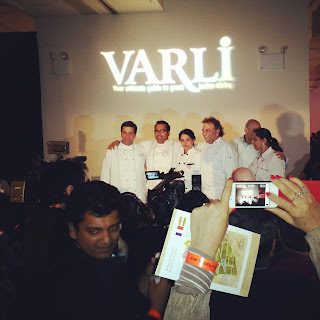 Last week, I scored two tickets to the sold out Varli Food Festival through Yelp and Varli Magazine. Boy was I happy, just look at my smile. The festival took place at the Metropolitan Plaza in New York City. That's just a hop, skip and jump away from me. The event showcased culinary creations from over 60 restaurants and caterers hailing from United Kingdom, India, Chicago, Virginia, DC and New York City of course. It was a great opportunity to mingle and hob nob with all the great chefs and restaurant geniuses. The minute I saw the Varlitini, I knew I had to have it and we were inseparable for the rest of the night. The first thing I noticed was the rose petal ice cube floating in the vodka and spices concoction. It was such a smooth drink! I would drive all the way to Connecticut just to try more of their whimsical drinks. On our last trip to India, we had the pleasure of tasting some great wine made in India. India is known for gin, scotch and whiskey. 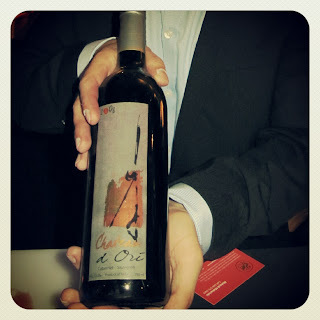 We were greatly surprised to drink "good" Indian wine and were proud that people are moving onto finer things in life! Vijay Gogia represented his family's vineyard (in Nasik, India) and offered a variety of wines for us to taste. I tried the 2008 Chateau d'Ori Cabernet Sauvignon and found it light and pleasant. I can't wait until they introduce these wines here in the States. 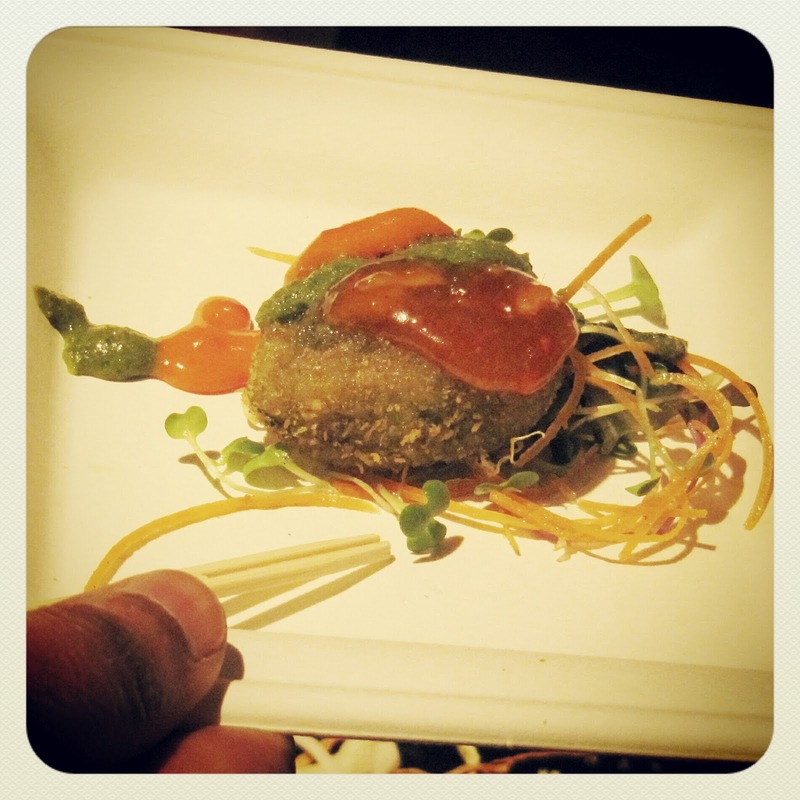 Among all the creations we nibbled on during the night, the best savory creations were the Paan Kebabs by Moghul Catering, Vegetarian Tacos by Baluchi's Restaurant, and Vegetarian Hyderabadi Biryani by Deccan Spice (Jersey City, NJ). So far, I've described the best drinks and appetizers/entrees of the night. All that's left are the desserts. It was tough. 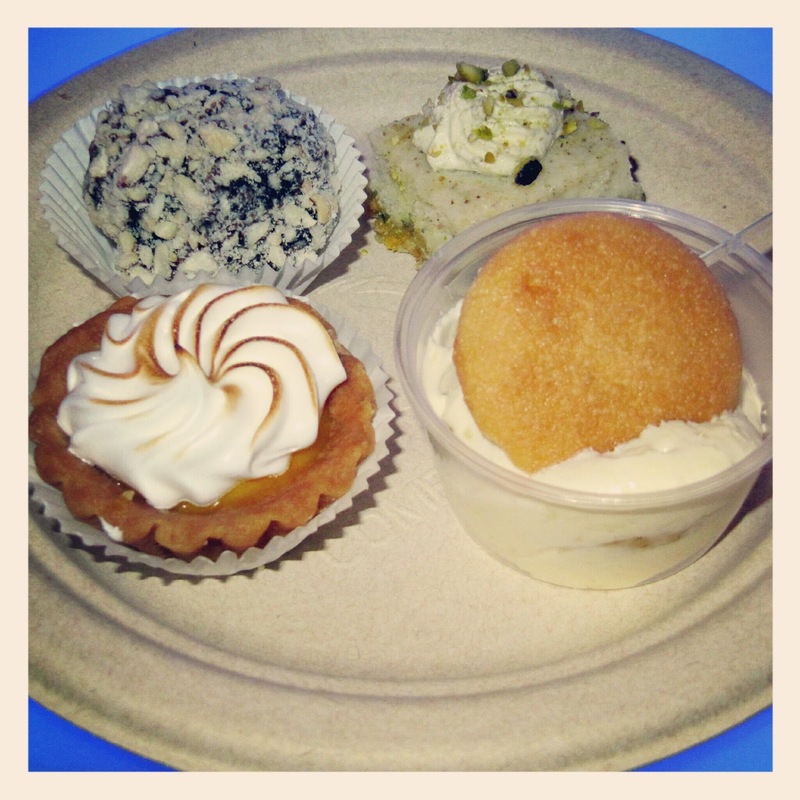 From left to right are Meringue Mango Pie, Tea & Chocolate Truffle, Pistachio Cake, and Ginger & Banana Pudding with Vanilla Wafer. Not only did Chef Aarti Raman get brownie points on the exquisite detail and presentation but also on taste. I loved the tea and chocolate combination in the truffle and the meringue icing on the mango pie. It was genius. 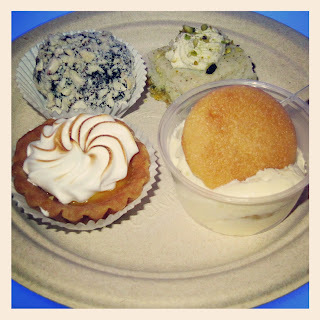 Sweet Silk Confections also showcased some delightful desserts. They had the most whimsical display of "trees" decorated with their scrumptious truffles: Roasted Cashew Coconut with Milk Chocolate and Date Rose Pistachio with Dark Chocolate. 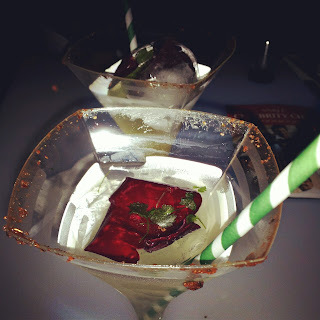 Overall, the night was filled with a lot of "little" foodie surprises that wow'ed our palates. We walked away with many foodie memories, figuratively speaking. Before we left, we went on a shopping spree at the spice market and loaded our "Varli" bags with spices, lentils, rice, and other goodies and a $500 worth gift certificates' booklet of the top caliber restaurants in the area. It is relatively a new trend. Not sure how long it will last. Let's see. I reached out to Thali Rest after the event in hopes of getting the recipe for the Varlitini and rec'd a response from Chef Prasad Chirnomula. "It's smooth as sugar can juice but drinks like a very special cocktail. It's gingerly and perfumed with with elderflower, saffron, turmeric and fresh lime juice. The base is vodka.A special ice had been created in half a sphere shape, embedded with edible rose petals and grated ginger. It was shaken and poured in a very special martini glass." No wonder the drinks were flying off the booth. The recipe sounds so yummy. Can't wait to try.